Three beautiful women, individually electrifying performers, and soulful romantics combine their originality, honesty, passion, and charm into an unforgettable and remarkable blend of musical singing entertainment. Tre Bella are big time players in the musical market and their harmonious fusion of energy and talent will detonate cross cultural excitement. Available for… Festivals, Nightclubs, Corporate Events, Private Parties, Recordings, TV/Web appearances... just to name a few! Singer and songwriter Giada Italian Singer and songwriter Giada Valenti is recognized for her special voice and great stage presence. With her October 2008 release, And I Love You So, Giada plans to bring her sophisticated music and European style to music fans worldwide. And I Love You So features Giada's interpretations of such songs as "La Vie En Rose", "It's Impossible", "Grande Grande Grande"(Never Never Never) and "Se (love theme of Cinema Paradiso)". The number one jazz resource on the web, E-jazz News, writes: "If you listen to the pop/jazz music of Buble, Diana Krall and Norah Jones, then you will definitely want to get a hold of And I Love You So and let Giada Valenti enchant you with her voice and mesmerize you with her music". 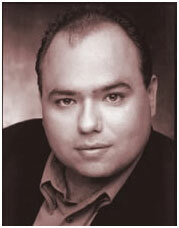 We are delighted to bring you the vocal artistry of Dominic Mantuano, one of today's most versatile opera vocalists. Dominic honors the classical tradition of his operatic training while successfully using his talent to cross over into the world of Pop and Easy Listening. This allows him to introduce a younger audience to his superbly trained voice, singing selections that they know and love. 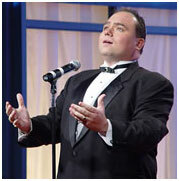 Dominic Mantuano, America’s Tenor, has been singing in one form or another since the age of four. Throughout his life, he has and continues to strive to advance his career in the entertainment world. Dominic’s voice and career were forever changed when vocal coach and mentor Suzanne Ferris-Hammer, introduced him to the great voice of Mario Lanza. The moment Dominic heard the voice of Mario Lanza, he fashioned his voice in that image. Dominic Mantuano created his own cabaret show, performing the songs of Mario Lanza in their original keys. These shows were held in some of the finest NYC Cabarets such as Don’t Tell Mama, Duplex Cafe, Danny’s Skylight Cafe, Cafe 44, and Eighty Eights. He has also played The New Palace of the Performing Arts of New Jersey and most recently at Odettes. the wonderful world of the professional dinner theater with Palame Enterprises. Some of the great shows he performed in were 'Singing In The Rain', 'Yankee Doodle Dandy', and a starring role in an original production called 'Ellis Island'. After professional dinner theater, Dominic Mantuano entered into a competition called The World Championships of Performing Arts. This competition hosted 1500 performers, in seven different categories, such as dancing, acting, comedy, modeling, vocal, vocal groups, and bands. Thirty countries attended and for the first time, they awarded an overall champion to represent every contestant. This title was awarded to Dominic, crowning him Grand Champion Performer of the World. A week after the championship, Dominic Mantuano was asked to return to California to perform at the Athletes and Entertainers for Kids Shaqtacular 4, with such celebrities as Shaquille O’Neal, Paula Abdul, Bruce Jenner, and Jeffery Osborne. After the Shaqtacular 4, Damon Lanza, son of Mario Lanza, and long friend of the Lanza’s, Bob Dolfi, bestowed Dominic with the honor of singing at the Mario Lanza 38th Anniversary Pre-Ball Dinner in Philadelphia, a dream come true for Dominic. Since the 38th Mario Lanza Ball, Dominic has had the honor of performing annually in the church were Mario Lanza first sang at the age of 16. At the 40th annual ball, he co-hosted the pre-ball dinner with Katherine Grayson, co-star of Mario Lanza. He has most recently performed at the Claridge Casino in Atlantic City and was a guest performer at the Atlantic City Film Festival.